Dubai’s hospitality sector remains amongst the top performers in the Mena region, achieving the highest occupancy, average room rate (ADR) and revenue per available room (RevPAR) in the first quarter of 2018, a new report showed. According to the latest EY Middle East Hotel Benchmark Survey Report, the emirate’s occupancy reached 86.9 per cent with an ADR of $293, which led to an overall RevPAR of $255 in Q1 2018. In the UAE, the hospitality market saw a slight increase in occupancy in Q1 2018 over Q1 2017. Occupancy in Dubai increased by 0.8 per cent points from 86.1 per cent in Q1 2017 to 86.9 per cent in Q1 2018, possibly due to international visitors during the 23rd edition of the Dubai Shopping Festival as well the favourable weather. 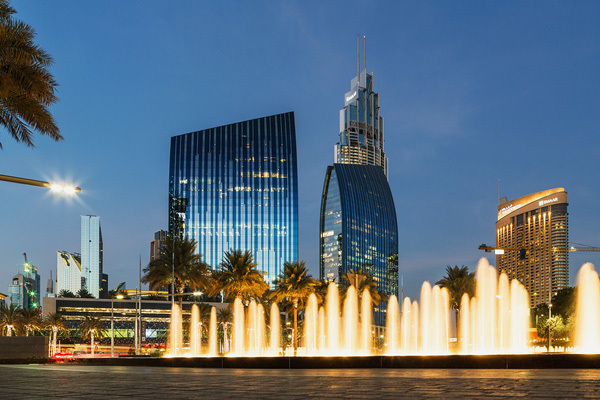 Even though there was a slight decline in ADR by 1.2 per cent, from $297 in Q1 2017 to $293 in Q1 2018, Dubai achieved the highest RevPAR in the region at $255 in Q1 2018, the same as last year. Driving the overall hospitality key performance indicators (KPIs) for Dubai were the hotels located on the beach, which saw an increase across occupancy, average room rate and RevPAR in Q1 2018. In the first quarter of this year, the occupancy of beachfront hotels in Dubai reached 82.7 per cent with an average room rate of $559, leading to a RevPAR of $462. Meanwhile, hotels in the city of Dubai saw a slight increase in occupancy with 88.7 per cent, but RevPAR fell by 6.2 per cent to $168 in Q1 2018 due to a 6.8 per cent decline in the average room rate. The hospitality market in Abu Dhabi also registered an increase in occupancy by 7.3 per cent points, up from 79.3 per cent in Q1 2017 to 86.6 per cent in Q1 2018. The increase in occupancy may be attributed to the marketing efforts by Abu Dhabi’s Department of Culture and Tourism to engage more visitors from various Asian countries. However, the ADR decreased by 14.7 per cent from $122 in Q1 2017 to $104 over the same period, leading to a decrease in RevPAR by 6.9 per cent from $97 in Q1 2017 to $90 in Q1 2018. Ras Al Khaimah saw an increase in occupancy by 4.5 per cent points from 75.3 per cent in Q1 2017 to 79.8 per cent in Q1 2018. The hospitality market also witnessed an increase in ADR by 5.4 per cent to $174 in Q1 2018 when compared to $165 in Q1 2017, which resulted in an increase in RevPAR by 11.6 per cent in Q1 2018. Overall, the Middle East hospitality market witnessed a steady growth in occupancy during the first quarter of 2018. Except for Jeddah, Beirut, and Doha, hotel occupancy across the Mena region saw an increase when compared to the first quarter of 2017. This increase was primarily due to a number of shopping festivals, improving bilateral relations, and overall pleasant climate conditions across the region. In Saudi Arabia, Madinah, Riyadh and Makkah witnessed an increase in occupancy; however, Jeddah witnessed a decrease of 5.7 per cent points from 54.4 per cent in Q1 2017 to 48.7 per cent in Q1 2018. The hospitality market in Jeddah also witnessed a decrease in ADR by 5 per cent from $197 in Q1 2017 to $187 in the same period of this year. This led to a decline in RevPAR by 15 per cent from $107 to $91 in Q1 2018. The drop in KPIs in the Jeddah market could be attributed to an oversupply of hotels in the market along with softer macro-economic conditions. The Riyadh hospitality market witnessed growth across all KPIs with its occupancy increasing by 3.9 per cent points from 57 per cent in Q1 2018 to 60.9 per cent in the same period this year. The ADR saw a marginal increase of 0.1 per cent, which resulted in an increase in RevPAR from $108 in Q1 2017 to $116 in Q1 2018. In Bahrain, the Manama market saw a 10.6 per cent points increase in occupancy to 59.7 per cent in Q1 2018 from 49.1 per cent in Q1 2017. However, the ADR decreased by 6.2 per cent from $187 in 2017 to $176 in Q1 2018. Yet the market still saw a growth in RevPAR by 14.1 per cent from $92 in Q1 2017 to $105 in Q1 2018. The increased occupancy in Q1 can be attributed to the Bahrain Shopping Festival, which attracted around 122,000 visitors to the country. The Kuwait hospitality market saw a 2.5 percentage points increase in occupancy from 65.1 per cent in Q1 2017 to 67.5 per cent in Q1 2018. The market also witnessed a 4.5 per cent increase in ADR, from $191 in Q1 2017 to $200 in Q1 2018. These contributed to the overall increase in RevPAR by 8.5 per cent from $124 in Q1 2017 to $135 in Q1 2018. This may be attributed to several events that drew regional visitors such as the Kuwait Motor Show, Kuwait Expo, and the Hala February Festival. In Oman, the Muscat hospitality market also registered an increase across all KPIs. Occupancy increased by 1.1 percentage points from 83.3 per cent in Q1 2017 to 84.4 per cent in Q1 2018 and ADR witnessed a 3.9 per cent increase from $169 in Q1 2017 to $175 in the same period of this year. This led to an overall increase in RevPAR by 5.3 per cent from $141 in Q1 2017 to $148 in Q1 2018.